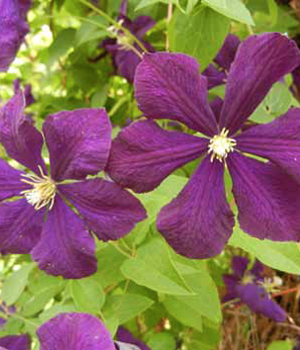 Clematis climb around the border of the Pennock Garden in early June. 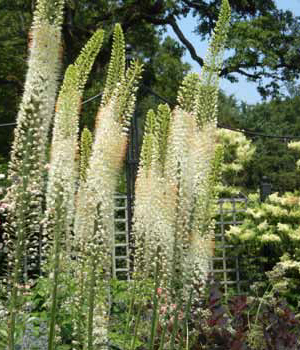 The tall white foxtail lily blooms add height and bright color to the Rose Garden. 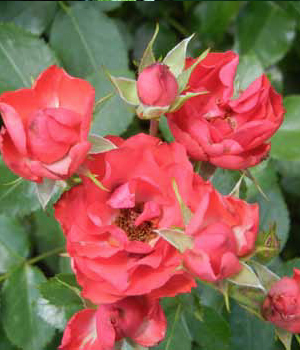 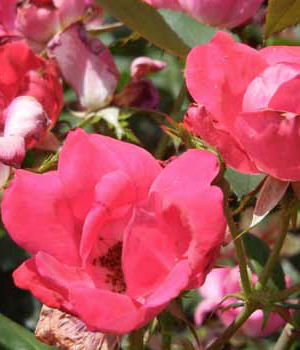 The Knock Out rose, one of the most popular plants in home gardens, are disease resistant and easy to grow! 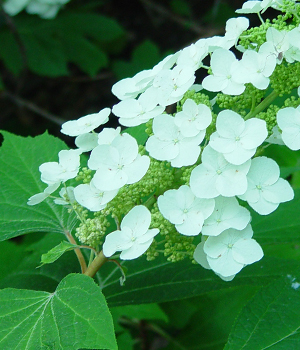 The panicle flowers of the oak leaf hydrangea give this plant great seasonal interest. 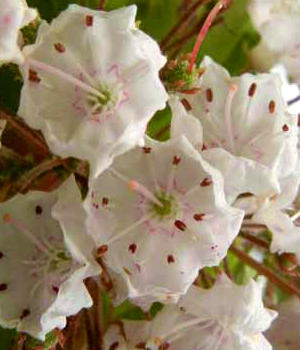 In early June our state flower, the mountain laurel can be seen dotting the woodland areas of the Arboretum.